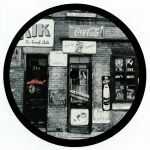 Review: There's usually plenty of A-grade material to be found in the Editor's Kutz EPs, and this sixth volume in the popular re-edit series is no different. Chief amongst these is The Silver Rider's "Good Lovin' Baby", a chunky disco-funk roller - slightly straightened out for contemporary dancefloors - that boasts a terrific, string-drenched breakdown. There's also something deliciously glassy-eyed about Doc Jam's "In Your Eyes", a tasty, house style loop-jam that expertly cuts up a familiar disco classic. 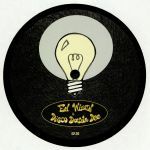 Elsewhere, Ed Wizard & Disco Double Dee provide a dubby take on Marcos Valle's Brazilian boogie classic "Estrelar" ("Stellar Dub"), and Vinyladdicted joins forces with Sleazy McQueen for a trip into groovy, AOR disco territory.